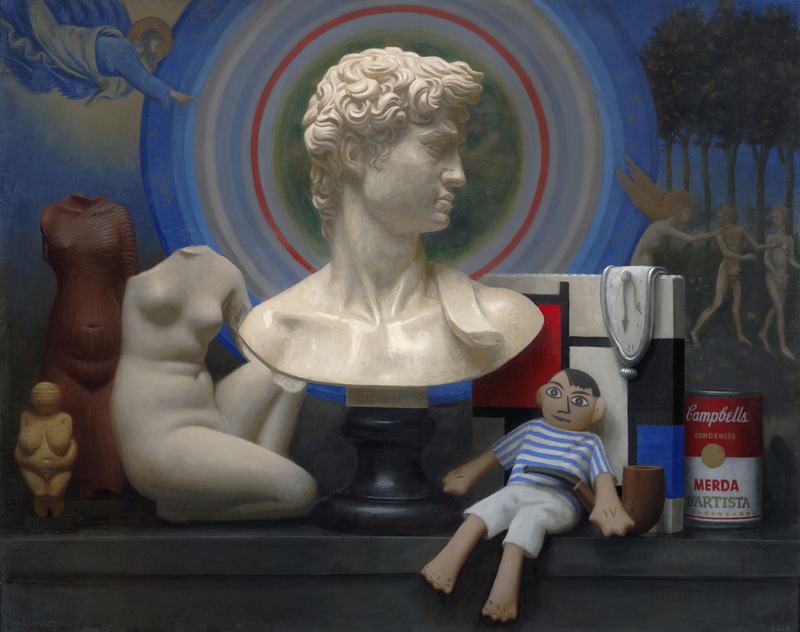 Living Masters - the top realist painters working today - John Dalton - gently does it . . . There has been a quiet return to an older way of painting. To standards from the past. To a time when drawing mattered. When shock value wasn’t so highly regarded. A time when art and craftsmanship were one and the same. The artists working in this way are called realist painters. Their work looks like the work of the old masters. They welcome the comparison. Here are the top realist painters that I know of working today. Ali Cavanaugh has managed to achieve the holy grail of creativity, she has taken something old and re imagined it in a fresh contemporary way. She paints in water colour on specially prepared clay board which makes her method of painting in effect, modern day frescoes. 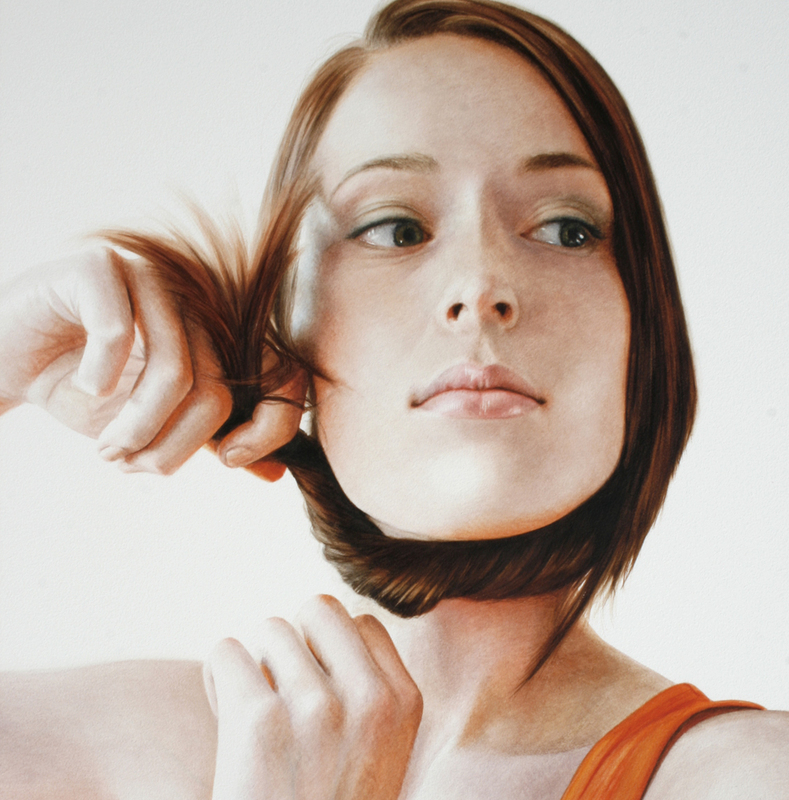 This approach, combined with her considerable skill and talent, create paintings that are truly unique. 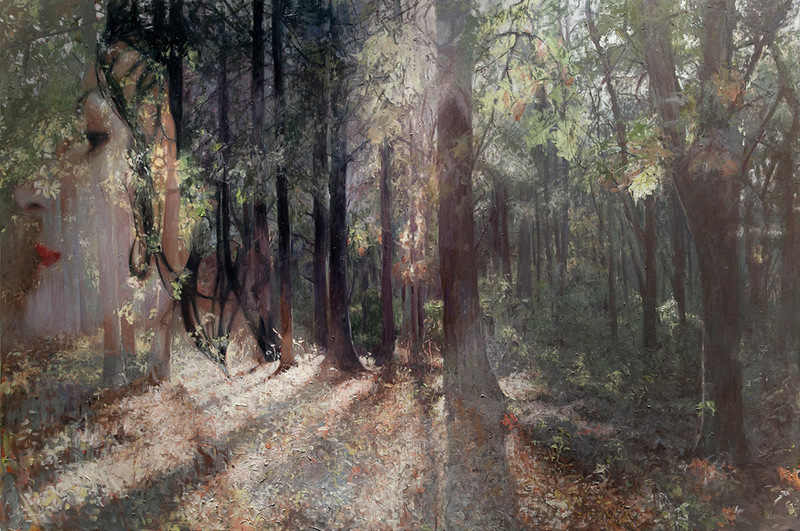 There is something living in the paintings of Gregory Mortenson. Technically they are brilliant but there is more going on. He manages to something of the inner vitality of the people he paints. 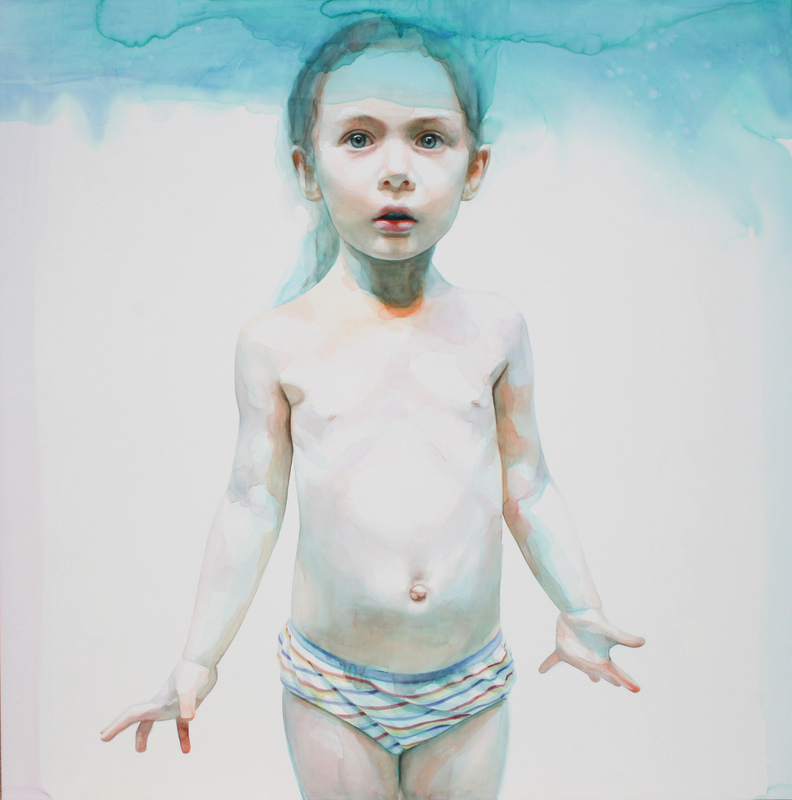 American artist Alyssa Monk’s approach is intimate and intense. Her paintings are all we hope for in an image, the ability to get very close to a private moment and they there as long as we need to. 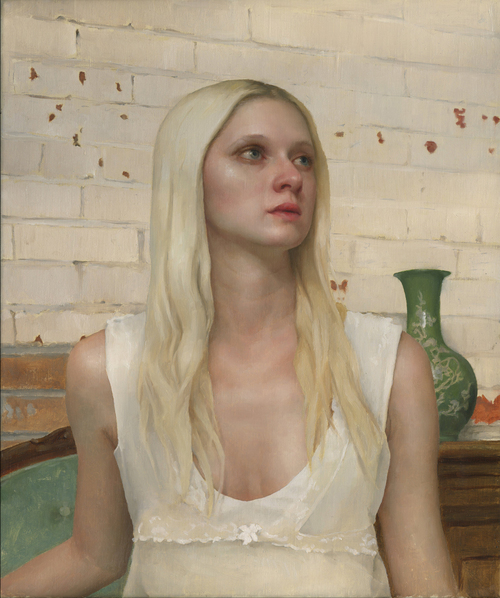 Her latest paintings manage to communicate an interior life with technical clarity of a master realist painter. I had a lovely chat with Alyssa on my podcast which you can listen to here. 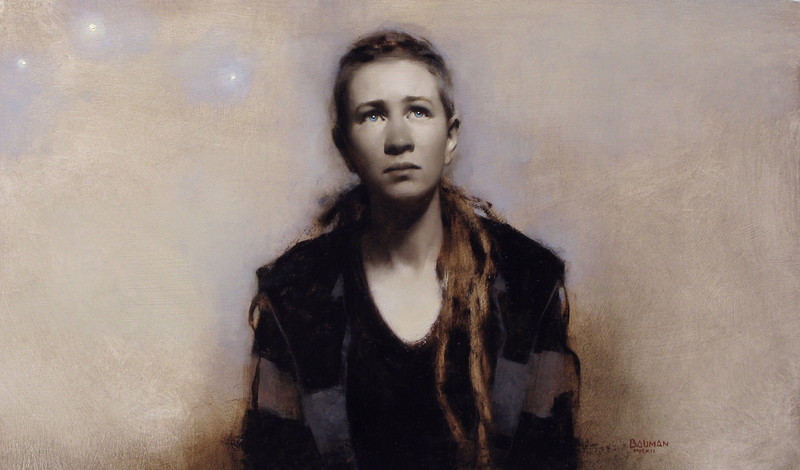 Stephen Bauman exemplifies the best of modern realist panting. He manages to wrap a classical style around a contemporary flavour. You can tell he is a contemporary painter yet his paintings have an older quality. Realist painting was a kind of calling for Conor Walton because when this Irish painter was going through Art school, figure drawing and realist painting were completely out of fashion. He had to find his own way in the end and we are the richer for it. Technically brilliant. Spooky disturbing. 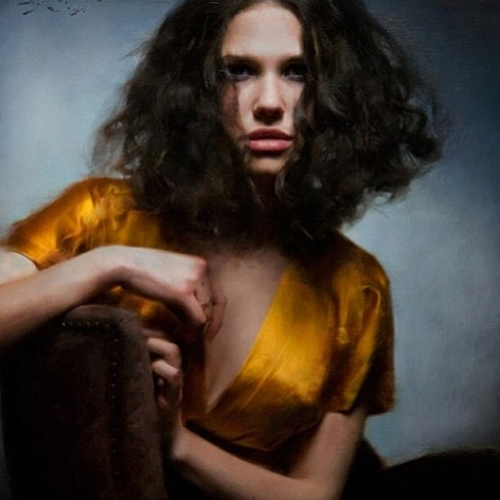 Roberto Ferri’s paintings are lovely to look at with inbuilt jolts as your eye travels around the canvas. This woman’s body becomes a snake. That man has horns. This Italian painter has been commissioned by the Vatican to paint the current pope twice. His themes are often mythic or catholic. His level of skill is breathtaking. 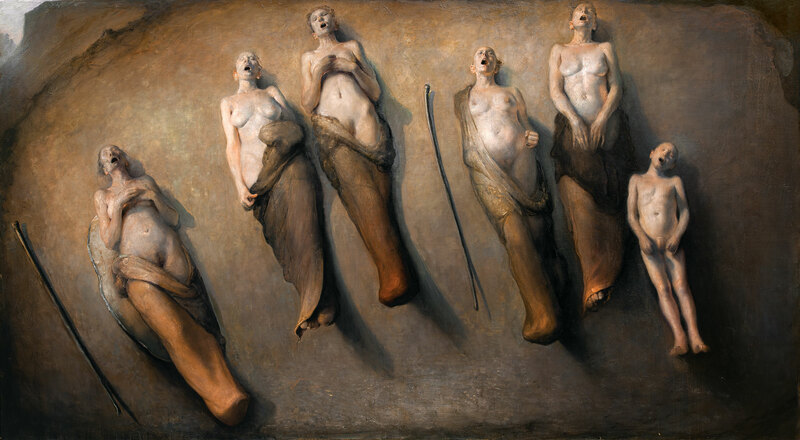 There is so much mystique surrounding Odd Nerdrum that it’s hard to tell if he is really the caricature of the crazy artist the media projects or if he has encouraged this view of himself to protect his intimacy. 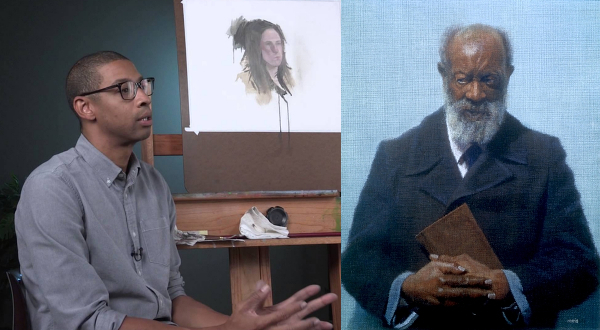 Either way his paintings are powerful. This Norwegian painter stands apart among realist painters in that his paintings look so like Rembrandt‘s. This influence is something Odd freely admits as Rembrandt is for him, the ultimate painter. 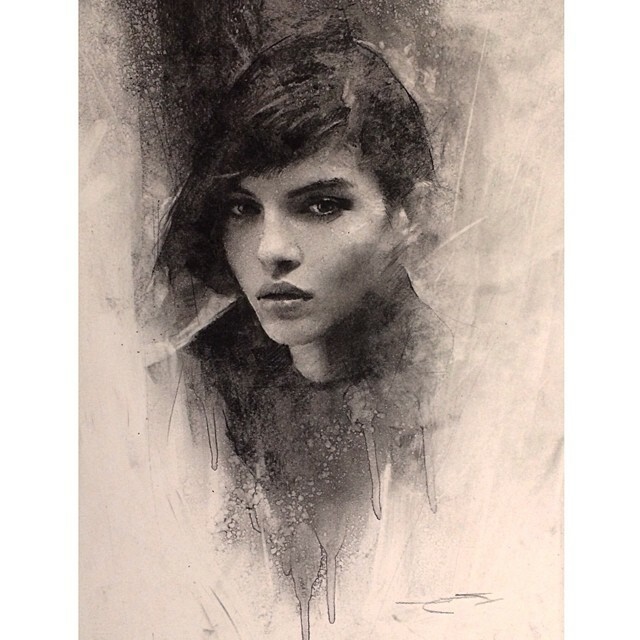 With a lot of rock star swagger Casey Baugh makes what he does look easy. His charcoal drawings have a contemporary feel to them and look like the sort of thing Michelangelo or Leonardo would be doing if they were working today. If Kevin Costner’s character in, “Dances with wolves,” had been a painter, this is what his paintings would have looked like. 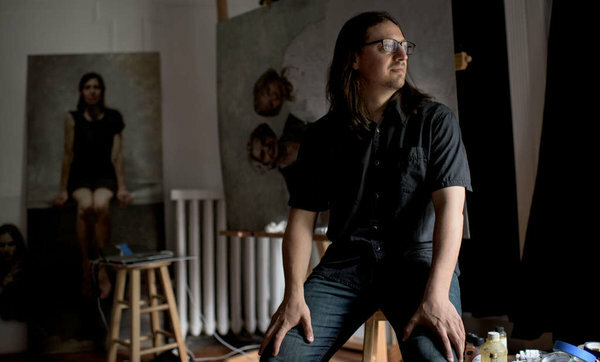 Adam Miller is a young American painter who discovered classical painting techniques almost by accident. Once he got started his talent became evident quickly going into formal academic training at age 16. 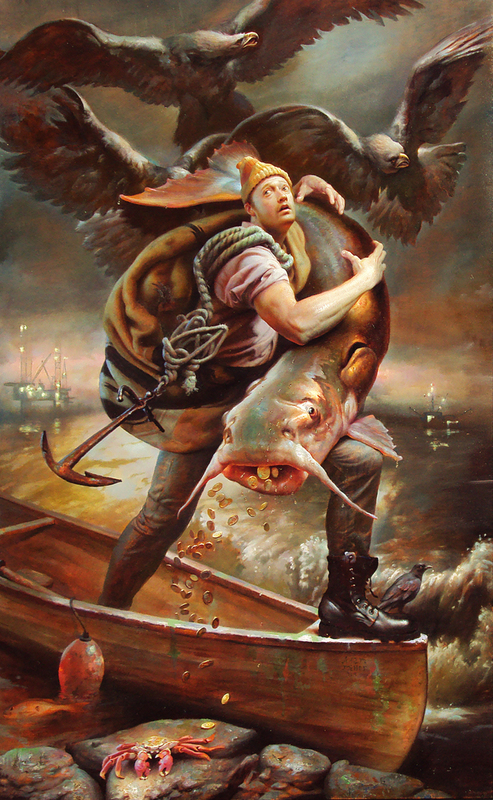 He paints thematic sequences that combine modern culture and myth. Virgil Elliott should be included. what’s the piece by Roberto Ferri titled? You are most welcome John, and sorry for the slight delay in responding. For some reason I only saw your two messages of thanks today. Hope the support on Patreon is also picking up, as you definitely deserve it to. 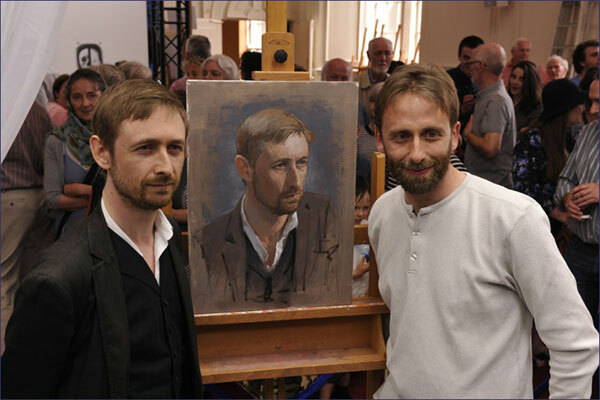 Well this was great….but you missed some amazing painters (I am sure it was hard to select just a few outstanding examples…as there are now so many talented examples). I am suggesting Paul Fenniak from Montreal, Canada. He shows at the Forum Gallery in NYC. Take a good look at this amazing painter. Thanks for the suggestion James. I had a quick look at Paul’s work and you’re right it’s brilliant. Paul Fenniak is right. So original and thought provoking. I find myself getting lost. Pleas have a look at my painting on f b. 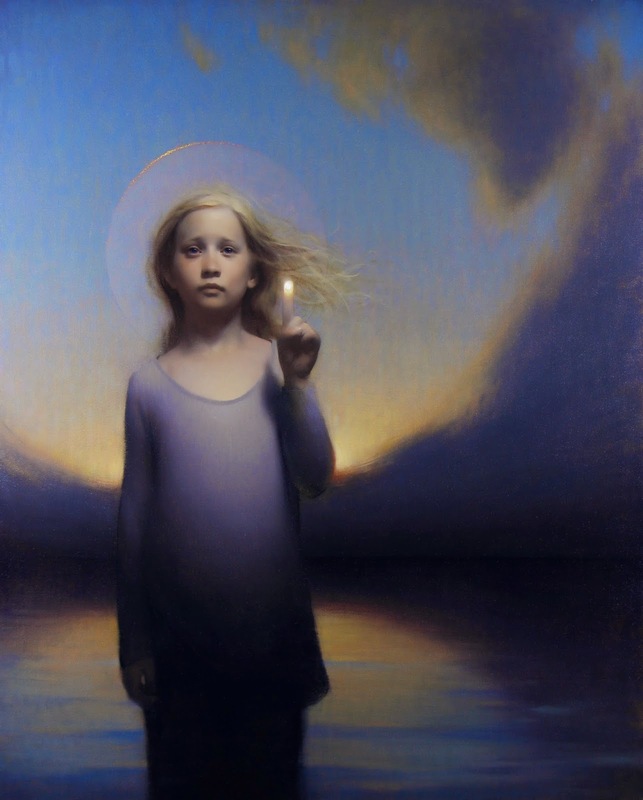 Please look into: Andrea Kowch, Pamela Wilson, Katherine Stone, Alexandra Manukyan, and Katie O’Hagen ~ These women Artists are killing it! Thanks Laura, I’m glad you are enjoying the podcast. I will look at the artists you suggest. Thank you, John. Great reference. But I agree with Laura that in your list of 14, you’ve only mentioned 2 women. That’s less than 20%. 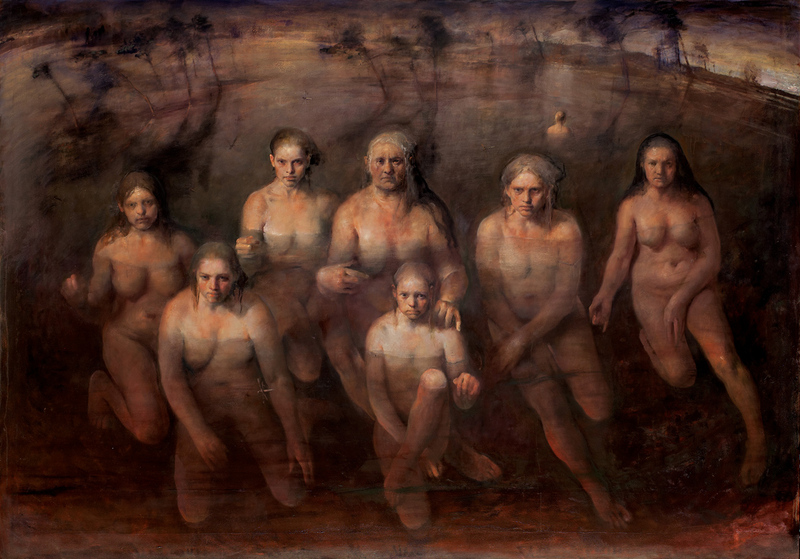 Are we really lacking women realist painters? (What gives, girls?) Also, I hope you have a chance to see Kehende Wiley’s traveling exhibition “New Republic”. His breadth of skill is impressive and can’t be garnered from just seeing a few of his more popular paintings. 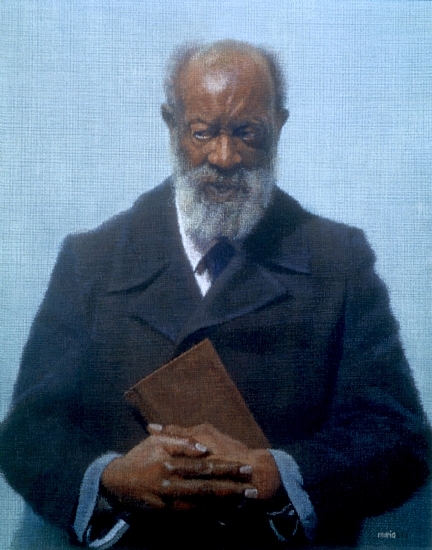 Huge portrait paintings (not just of African Americans he is so famous for) outrageously living and sensitive bronzes, intimate medieval-style icons. Truly mind blowing to see so much of his work at once. It just left Richmond, Virginia and is now in Seattle, Washington. I know some of his large individual paintings are in museums all over the world, but you’ve got to see this large show to appreciate what this young man is accomplishing. 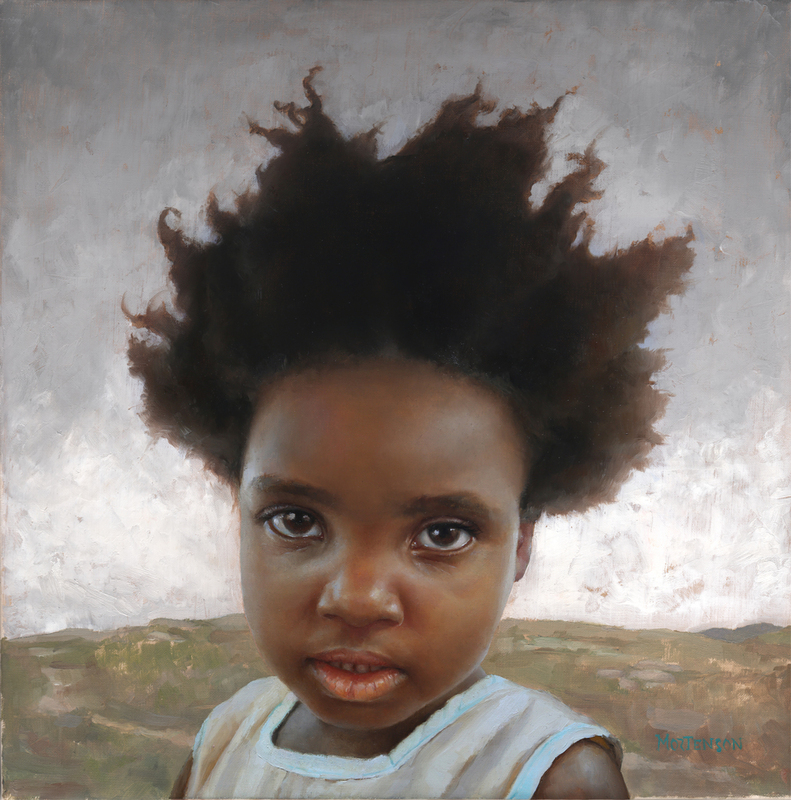 I am suggesting Steven Scott Young, who I believe to be one of the best painters alive today. Love the podcasts-keep up the good work! Hi — nice list, some new names in there for me. 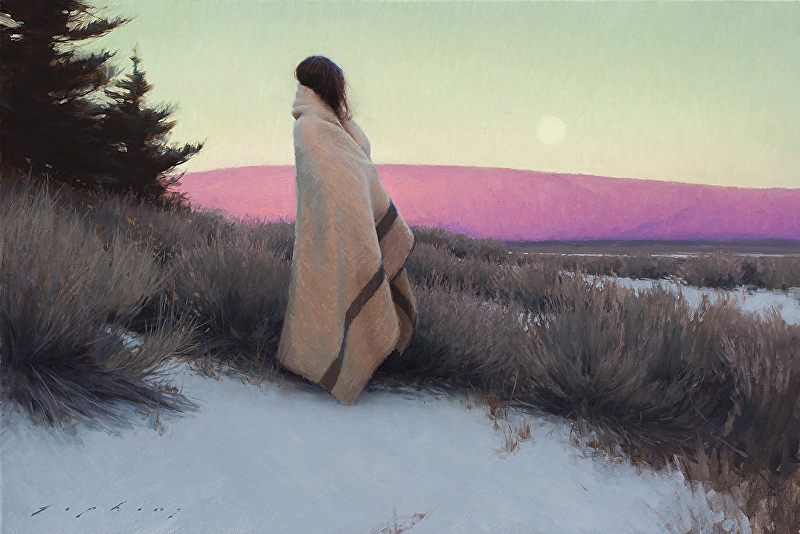 Note that it’s Jeremy Lipking, not Lipkin. He’s a big hero of mine. John, this is an excellent list; thanks for sharing. I especially appreciate that not all come from or represent the atelier world. Though, my background is there, I’m always happy to be directed to other artists outside of it. I also really appreciate how you’ve managed to have conversations with so many of these artist. Im probably going to get the ax for saying so..but theres just too much “sensationalism” in much of this New,realistic art..Realism for the sake of shock value,or no special meaning,or portraits of models who appear cold,or “dead..doing nothing and lacking in a story telling quality..Also Realism too real(why not just take a photo!?) this isnt what true Realism is all about..also because of the Atliers and schools today..there is a “clone” effect,where everyone sort of looks the same. Absolutely. This has nothing to do with painting. Most of them look alike as they cannot get away from their photographic images. Modern day connoisseurship is non existent and unsophisticated. We are still at the wow this is so real school of appreciation. No Manets, Cezannes or Matisse’s here. 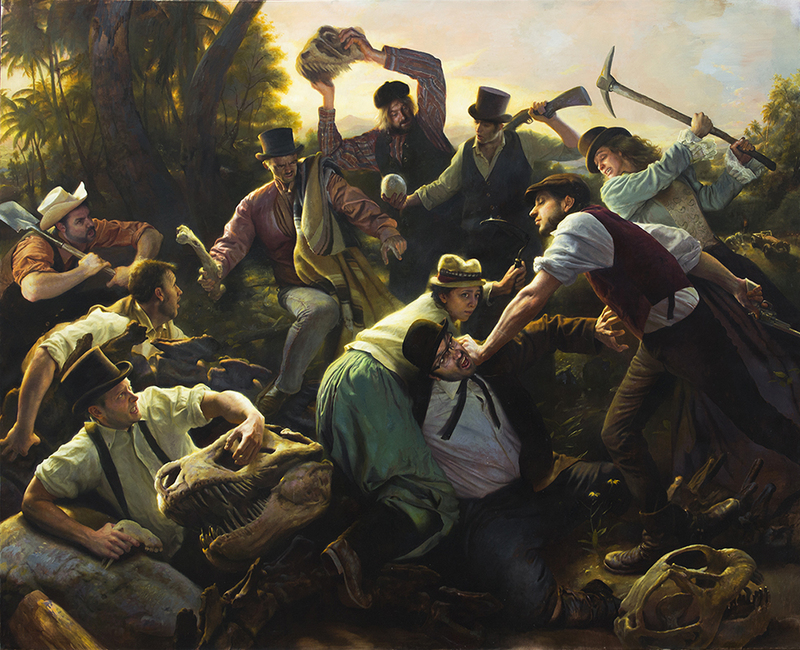 steven assael, vincent desiderio, david leffel, Richard Schmid (Who is Baughs teacher), Jenny Saville, Everett Raymond Kinstler, Cesar Santos, John Michael Angel, Jacob Collins. Melvin Toledo of Atlanta (exhibits at Gallery 202 in Franklin Tennessee), a Nicaraguan with great finesse and humor. Please consider Sandi Gagon of Salt Lake City. Unique subjects, including whimsical, religious. impressive in photos but the real impact is on the wall, in person. Interesting to see how difficult it is to escape photography and photographic conventions, even when trying to paint like the old masters. Tim Lowly is also worth considering. I stumble upon your site and was so pleased to have found it. Thank you so very much for sharing all these beautiful artist. 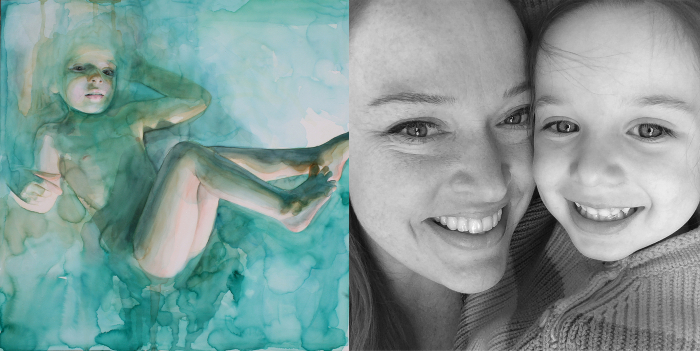 I would be so delighted to introduce to you and Artist that you might want to interview! Thank you Francine. Let me know who you have in mind. Hi John. I hope to cover this artists current work in 2018 (painters Tubes magazine)- He is an Artist whom I’ve known for 20 years or so. 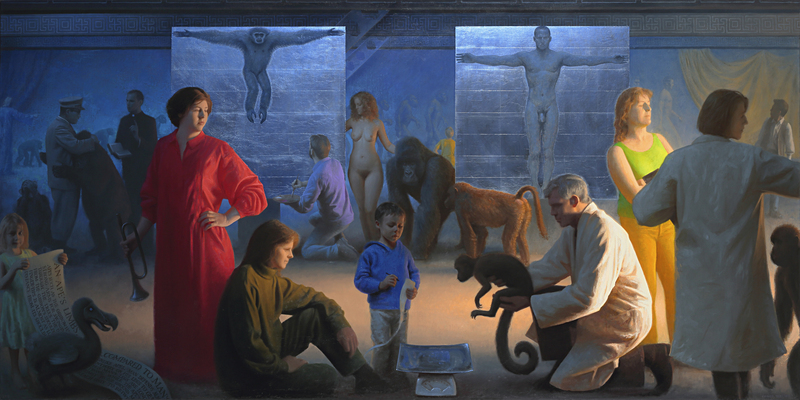 He first came to my attention when seeking (excellent) paintings for an exhibition I curated in Stockholm – 1998-2002. 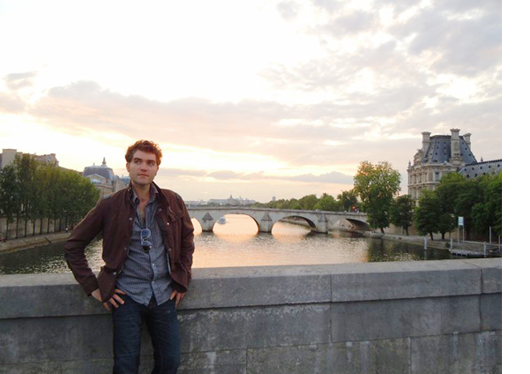 His name is Gabrielle Grun (Argentine) now living and working Italy. You may find his work a little disturbing at first, but his creative abilities are quite astounding, coupled with an intelligent and considered conceptual subject matter. all the best. Your site is so interesting. 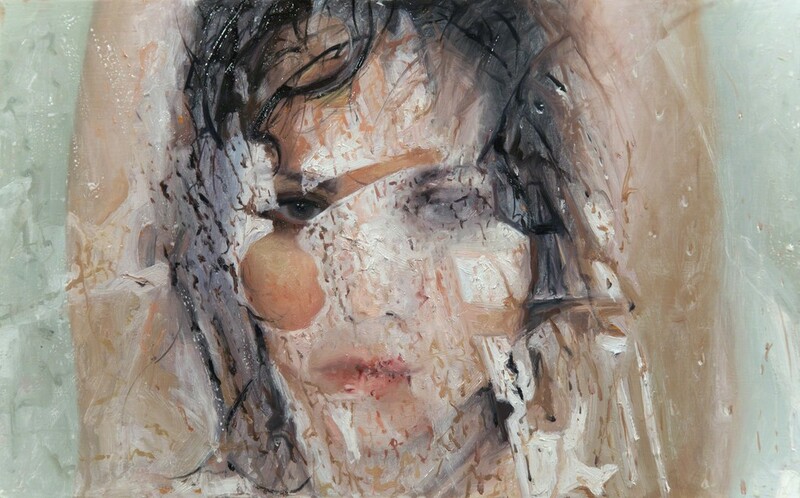 I particularly empathised with the advice to artists by Alyssa Monks. Some very nice choices. Do look at Joseph McGurl and also Dominic Avant. Look at Repose by Dominic. 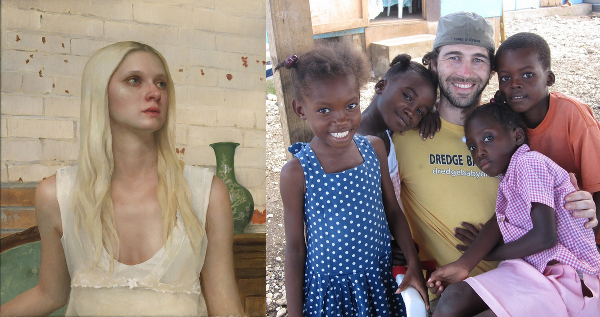 And I am not sure why you selected mostly male painters that paint people. Perhaps look a little deeper. I can’t believe I have to bring that up in 2018, but oh well…just keep going. I started Light Chasers with 5 plein air painters and grew it in under a decade to the largest plein air painting group in the world with over 670 painters. I wasn’t going for big actually, I was going for community, education, and a bigger seat at the economic table for representational painters. McGurl and Avant are two of my Featured Artists. Each of our 10 featured artists do a free demo followed by some sort of workshop every year. We have a Quick Draw, Paint Out, Member’s Show and the Featured Artists Show. You would see articles on us in American Art Collector in the Dec and March issue this last season. Over 4000 people came to our shows last year. I was just nominated one of Sarasota’s most “Amazing Women” for the work that I did for the Light Chasers. Thank you for all you do for artists in the world. It was great fun learning about some artists I did not know and now I do! A true gift. William Sculthorpe, a british painter, painterly rather than photorealist. Realism today in general is not a true Realism,and does not compare to Realism of say 100 years ago,or older. Today’s Artist lack important elements,making much of it “dry and meaningless”..(Even much of portraiture has lost something and has ended up as a kind of “still life” in appearance) One of the problems is trying to get camera like accuracy and photo realism..the “painterly look” and technique is missing..Sensationalism is another problem..trying to become original,may artists try to be different with gimmick and the bizarre..True Realism has MEANING ,of human stories,and the human spirit..Much of the problem lies in the Atliers,where instead of teaching the true spirit of artistic creation..a generation of clones,,has been created. (There are a handful of Artists who are very close to True Realism..but the majority have not.. These kinds of posts are purely subjective,and actually hurt Artists in my opinion..
Realism today in general is not a true Realism,and does not compare to Realism of say 100 years ago,or older. Today’s Artist lack important elements,making much of it “dry and meaningless”..(Even much of portraiture has lost something and has ended up as a kind of “still life” in appearance)Olden artists had a sense of beauty and flair,also technique ,which is rarely seen today One of the problems is trying to get camera like accuracy and photo realism..the “painterly look” and technique is missing..Sensationalism is another problem..trying to become original,may artists try to be different with gimmick and the bizarre..True Realism has MEANING ,of human stories,and the human spirit..Part of the problem lies in the Atliers,where instead of teaching the true spirit of artistic creation..a generation of clones,has been created.Another problem is our Society itself,lacking in many values and emotional feelings of people long ago.. (There ARE a handful of Artists who are very close to True Realism..but the majority have not.. These kinds of posts are purely subjective,and actually hurt Artists in my opinion..Its a kind of defining Art and Artists.. Thank you for a great review by some brilliant artists – Lipking etc. Thank you for this list and all the names given in the comments. I was beginning to think that there was no real talent left in the art community …. It’s almost like if your name is known then you could spill paint on a canvas or piece of wood and it’s somehow called art.it takes no skill to balloon paint and or pour. I am appalled at much of the art today it’s redicolous. I admire photorealism because of the time and talent needed for such realism, but I feel it takes the creative aspect away from a painting, and we do have cameras that can capture reality as it is.